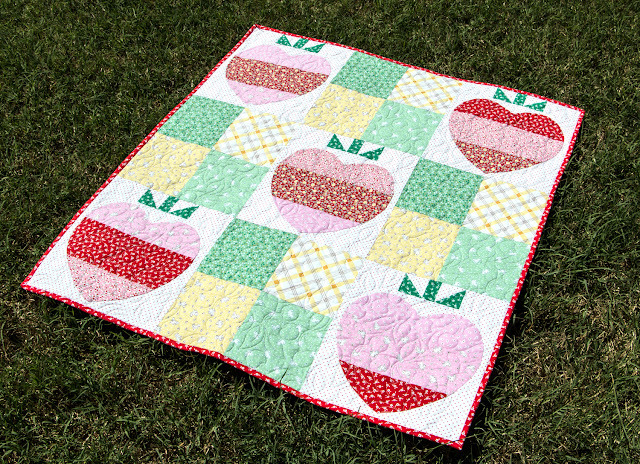 Welcome to the Apple Farm Blog Hop! If you're new here, welcome! Please make yourself at home and stay awhile. We're sew pleased to be participating in this event celebrating the newest collection from designer Elea Lutz for Penny Rose Fabrics! We LOVE her work, including her book Pretty Playtime with It's Sew Emma, and jumped at the chance to make something with this darling new fabric collection, which is available at our online store Fat Quarter Shop! We have an adorable quilt to share with you today. Kimberly knew exactly which pattern would make this fabric shine, and we hope you're inspired to make one of your own. Perfect for a very special gift, it also makes a lovely wall hanging to display in your own home! Ready to see a super sweet quilt? 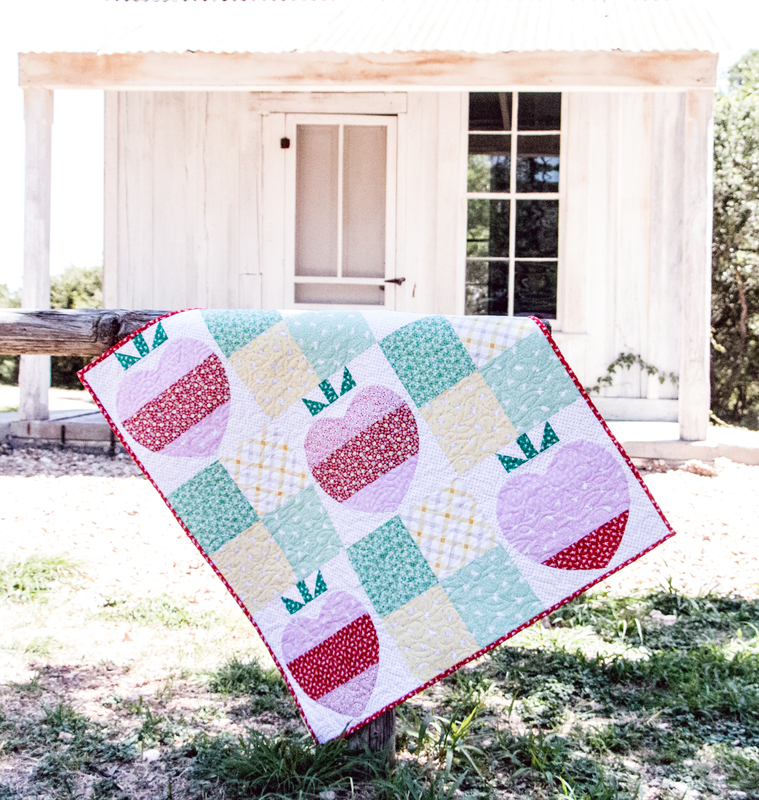 This is the Laura Quilt and you can find the pattern in our Fat Quarter Baby book! Isn't it lovely? How sweet are these heart shaped-berries? 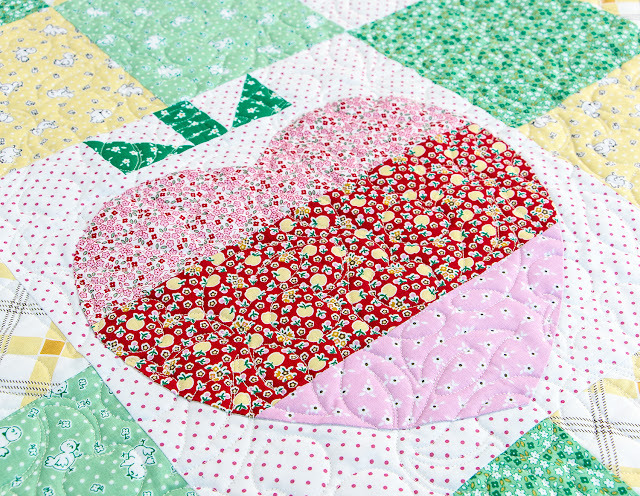 Here are the next stops on the blog hop - be sure to take a peek at the fun projects these quilters have created! Thanks so much for stopping in to see the project we made with Apple Farm.